The following is a very heartwarming email I've received earlier on from "38 Degrees". It shows that, despite what the many uncaring and hateful stuff we come across on Twitter and Facebook on a daily basis could make us believe, there are still plenty of caring and loving people out there. In a way, it restored my faith in humanity... and, I'm pretty sure that it'll do the same for you. Read it and ... keep smiling. Today, thanks to 38 Degrees members, the ‘National Refugee Welcome Board’ was launched. It will provide practical support to help councils and communities to resettle mums, dads and children who arrive in Britain fleeing war and violence. And it’ll find accommodation for tens of thousands of people who need a safe life in the UK. It’s a direct result of the money 38 Degrees members donated to help refugees settle into Britain. Our people-powered Refugee Welcome Board will provide emergency welcome packs for families, and help them integrate into our communities by introducing them to locals. And it’ll connect volunteers with foster and adoption agencies for orphan children moving to safety in the UK. 38 Degrees is working with Citizens UK to get this all off the ground. It’s just one inspiring example of the blitz spirit which 38 Degrees members have shown in response to the refugee crisis. We've worked with real passion to help families fleeing war and violence. 500 landlords have stepped forward to make their properties available for refugees. 9,000 people have registered their interest in fostering a Syrian orphan. Together, we’ve helped to make sure that that as soon as refugees arrive here, Britain is ready to welcome them. 38 Degrees members decide what we campaign on together. And there are so many important issues we can throw our people-powered movement behind. We’ll continue to work together on many different issues - as well as standing up for refugees. 38 Degrees members have different views on lots of things, but there’s one thing we all have in common - we all want to live in a country we’re proud of. We want to be a nation that’s driven by hope and compassion, not fear and hatred. And we want to be able to look back at what we did in times like these with pride, not shame. In these last few weeks, together we’ve changed the lives of families whose lives have been torn apart by war. I’ve never been prouder to be a 38 Degrees member. I hope you feel the same. PS. 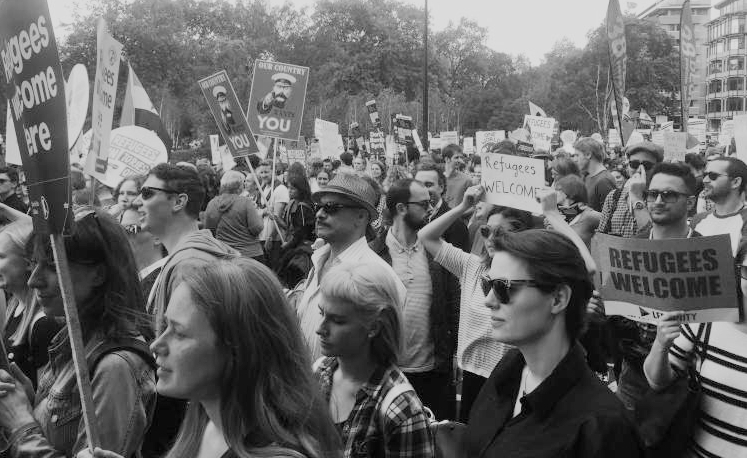 The people-powered outcry to speak up for refugees was a breakthrough moment. It’s forced the government to help more people - and that’s going to save lives. And now we’ve ensured that desperate mums, dads and kids will get the help they need to get back on their feet. To say thank you, Ayham, a young refugee from Syria has recorded a message for us.